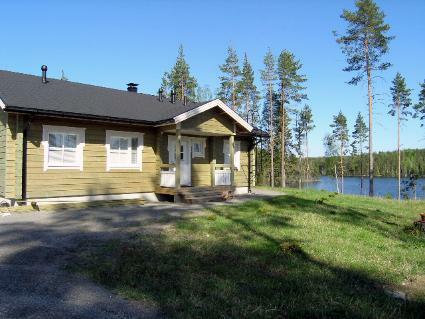 75 km north-east of Jyväskylä, L.Liesvesi 40 m (length approx. 8 km, width approx. 1.6 km) deep, rocky/sandy shore (access to water only via pier), own boat. 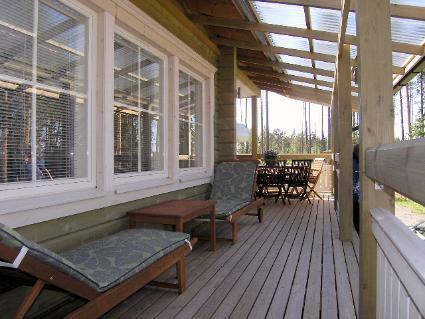 heat-hardened log house 2011, large living room/kitchen, 3 bedrooms each with 2 beds, hall, vestibule, utility room/dressing room, washroom, electric sauna, and large roofed terraces. Access to terraces through kitchen and dressing room. Holiday home with high standard construction and equipment, located on plot on slope in lovely lakeland scenery, steps from terrace to shore and grill tepee. 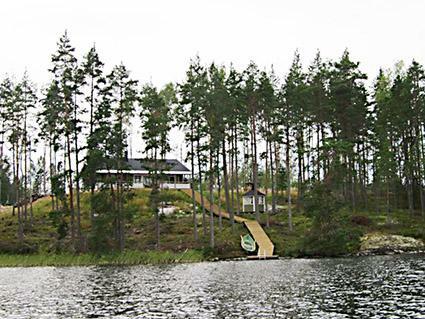 Ravio island in front of house is owned by house owner and can be freely visited by boat. House has e.g. mechanical ventilation, automatic sprinkler system in case of fire, Satellite TV, Blu-ray player and wireless internet connection (speed 5 Mb). Kitchen has safe induction cooker; washroom has rainshower-type shower. Baby cot available on request. 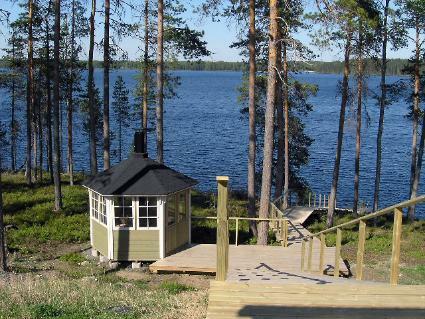 Rent includes two bicycles, electric outboard motor and use of 2 ‘katiska’ fish traps. Rapids for rod, reel and lure fishing 4 km. Local tourism programme company offers e.g. fishing, hunting and canoeing services, as well as guides. Konnevesi 17 km, Revontuli Golf 35 km, Häkärinteet ski resort 35 km, Jyväskylä airport 56 km. Rating given by customers 4.8. Based on 9 reviews.